You have decided to build a new home! While this is a very exciting time for you, this experience can be overwhelming if you are not surrounded by qualified professionals to help you along the way. 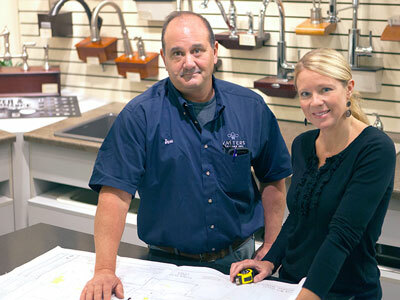 Rest assured, whatever your style or budget, Watters Plumbing makes it possible to turn your dream home into a reality. Each new home is unique and is treated as such. When we receive a plan for a new home, we put together a FREE, professional proposal using prices of product choices based on some general information we get from either the builder or the home owner. Once the proposal is accepted, the homeowner schedules an appointment for a personal consultation. During that consultation, the homeowner is shown each of the products that were listed in their proposal. They are given the opportunity to view other products, as well as test many of them in our working showroom. After the homeowner selects the products they want in their home, a change order is prepared listing the price changes from the original products listed to the new products selected with the total difference to the original price. Dave Ebben, Residential Manager, is a licensed Wisconsin journeyman plumber with over 20 years of experience both in the field, and as a manager. Dave works closely with your general contractor scheduling all phases of your plumbing installation and ensuring your project runs smoothly from start to finish. 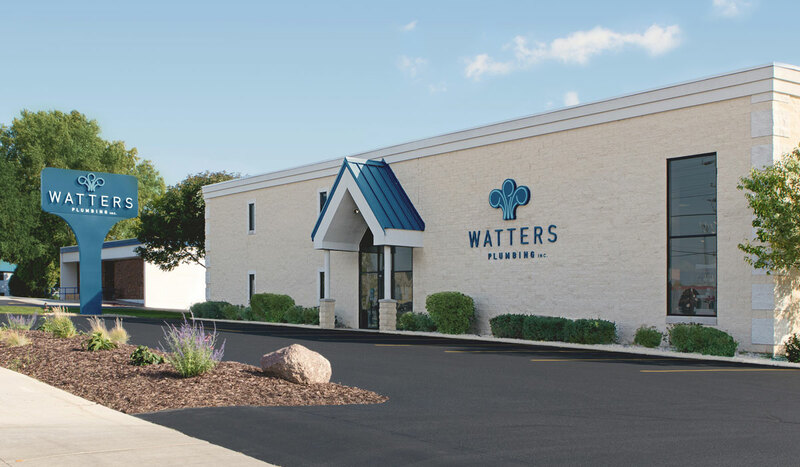 Our residential coordinator, Brittney Pauley, will work with you in our fully- functioning showroom once Watters has been selected as your plumbing contractor. Brittney works hand in hand with Dave to guarantee that style and function come together to deliver you with the quality, durability, remarkable craftsmanship, and extraordinary customer service you deserve. Note: Often times, and for various reasons, your contractor will automatically decide which plumber you will use for your new home. However, you should be aware, it is ultimately your choice. If quality and service are important to you, remember it’s your house, choose Watters.